I finished my Schulz sweater about a week ago, but then went out of town, so didn't have time to blog about it then. 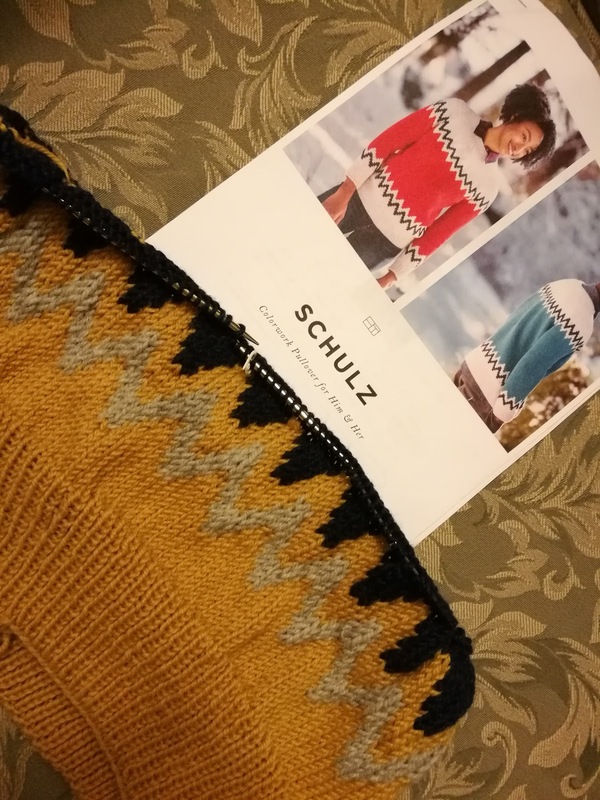 I love how it turned out! 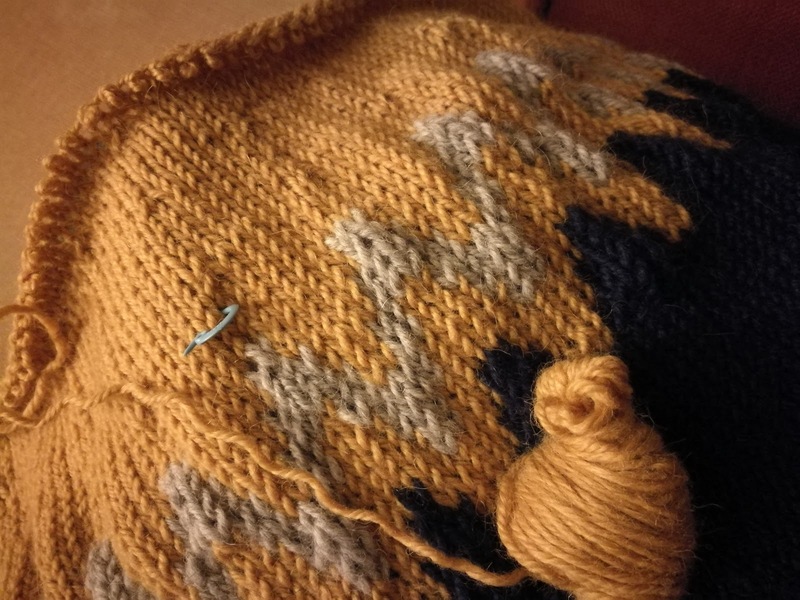 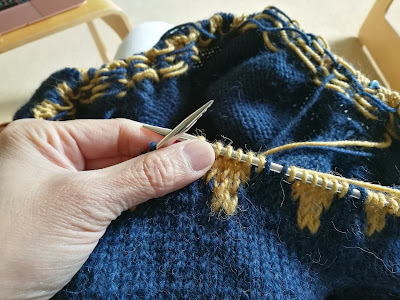 I used Berroco's Ultra Alpaca in navy, mustard and grey. 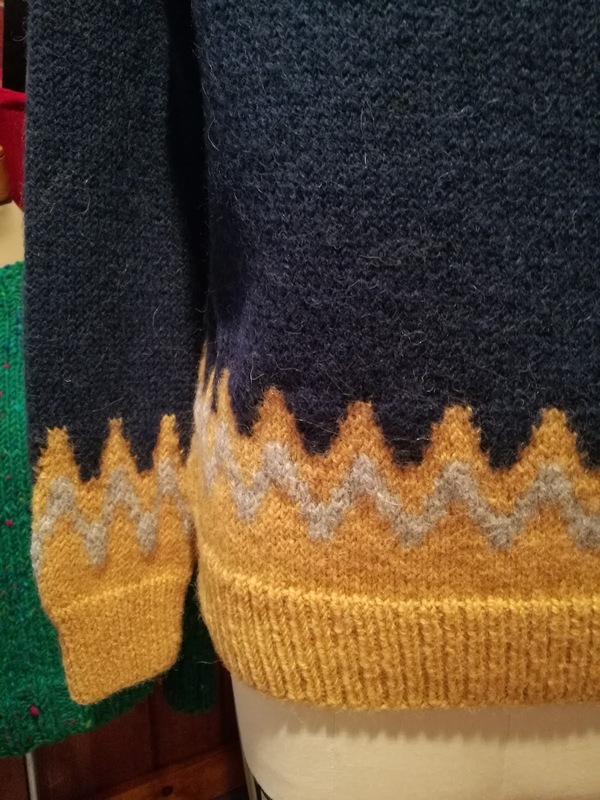 The pattern was straightforward and easy to follow. The short rows were done using the yarn over method, which was new to me and I really like how invisible they turned out. 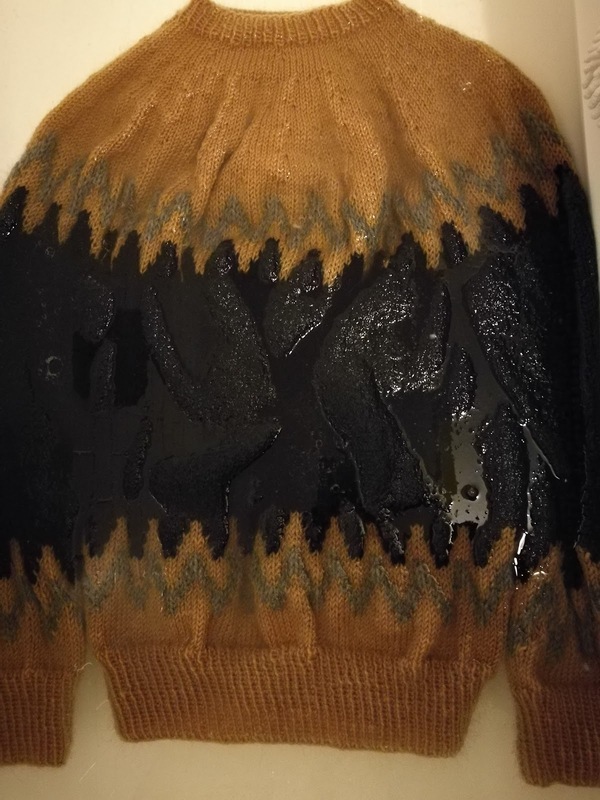 The only issue I had was doing the stranded knitting on the sleeves. 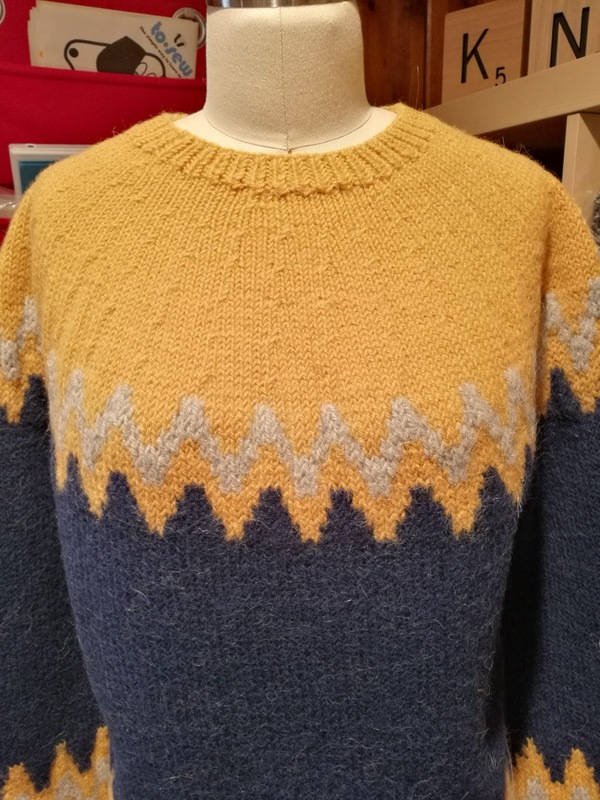 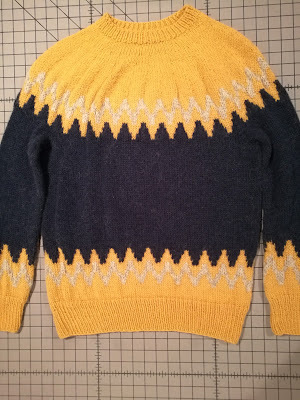 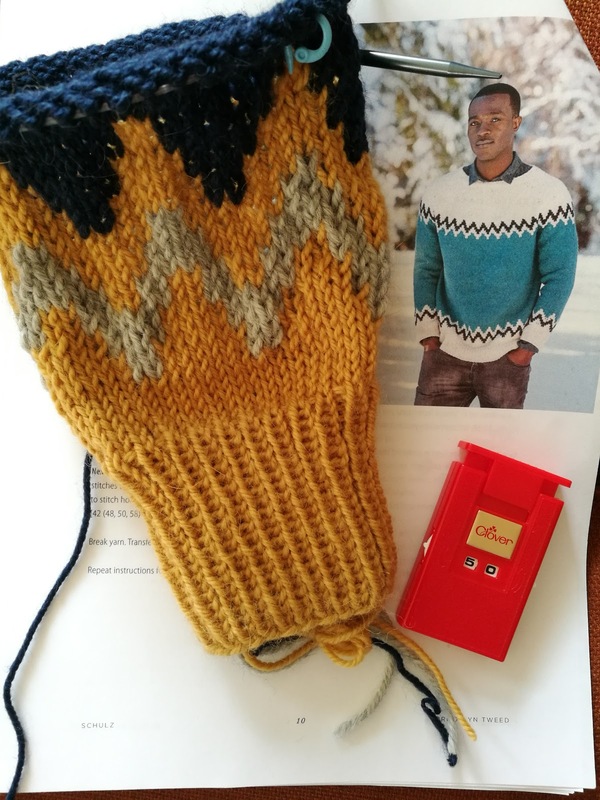 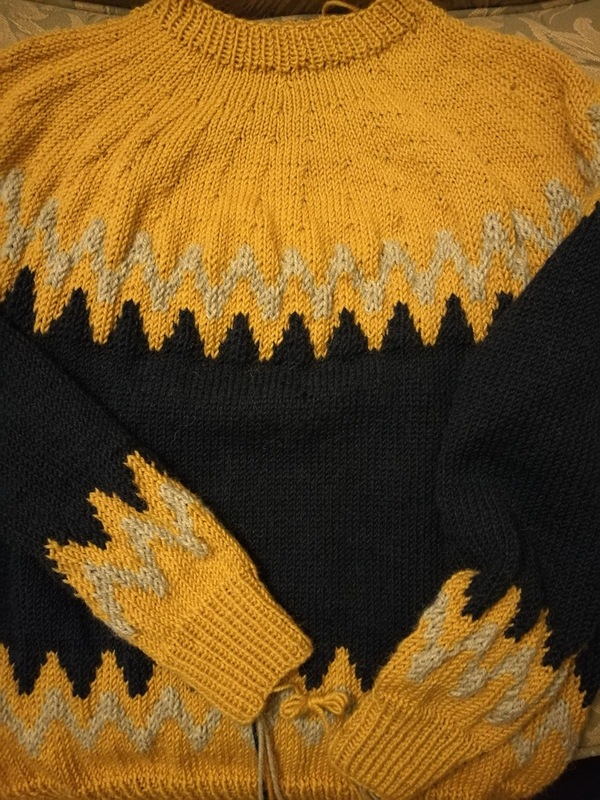 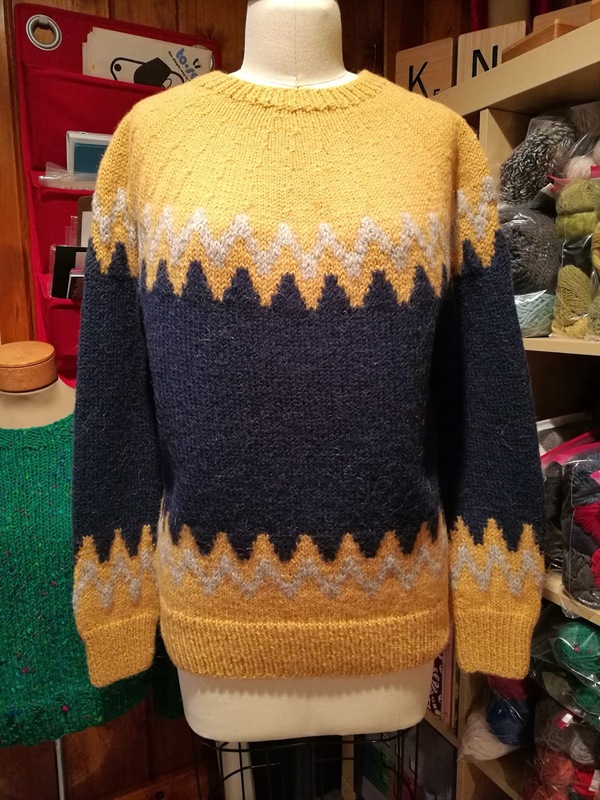 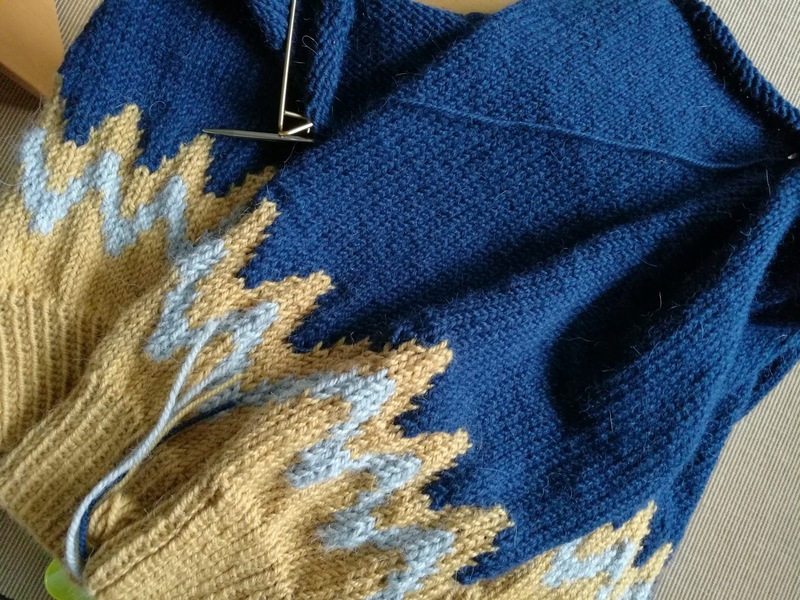 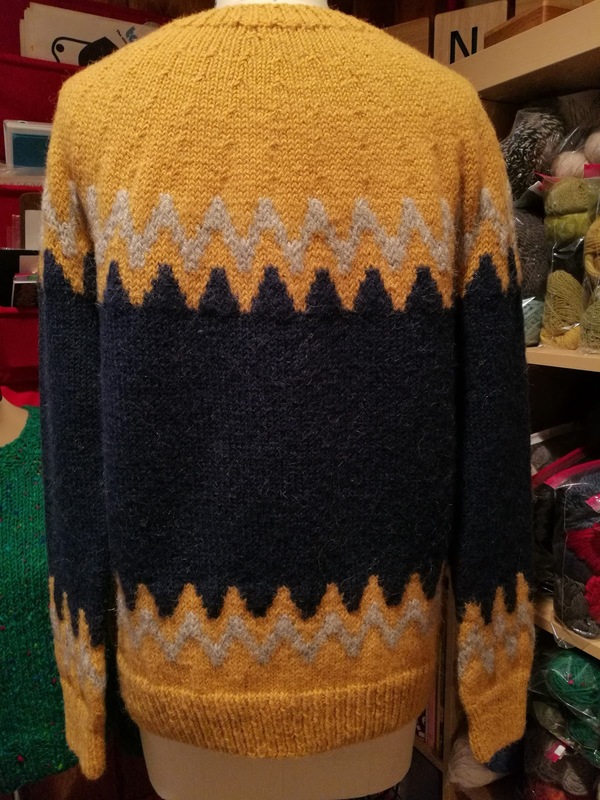 It was enough of a pain that in my next lopapeysa project, I am skipping the colorwork altogether on the sleeves.